The winners of the Best of NEA have been announced! See who won in the line up below. Each winner will receive a framed poster, which may be picked up at the Jonesboro Radio Group offices on 314 Union St. in Jonesboro starting Tuesday, April 23, 2019. Our office hours are Monday through Friday from 8 a.m. to 4:30 p.m. IF YOU DO NOT SEE YOUR FAVORITE BUSINESS ON THE WINNING LIST: This list was built based solely on nominations from our listeners; that nomination period was from Jan. 7, 2019 to Feb. 3, 2019. All winners were selected based solely on votes by our listeners. Current paying clients were not given preference. Official rules can be found below the winner banner. The nomination period for this contest runs from Mon., Jan.7, 2019 at 8 a.m. to Sun., Feb. 3, 2019 at 11:59 p.m. The voting period for the contest runs from Mon., Feb. 25 at 12:00 a.m. (Midnight) to Sun., March 25, 2019 at 11:59 p.m.
During the nomination period, participants may nominate one business per category. During the voting period, participants may vote once per day per category. For a nomination to be counted, participants must fill out a nomination for each category they desire. Upon the first nomination in the contest, the user will be directed to fill out a form; it will include Email Address, Name, Postal Code, Phone Number, Birthdate, Gender, and Opt-ins for contact through email. Once the form on the first nomination is completed, other nominations for this session will not require additional information. Users can change their Write-In selection if they desire. Each nomination box will include an automatic fill in suggestion box, powered by Google, to ensure information accuracy on the businesses nominated. Once the nomination period closes, all nominations will be merged into a final ballot. If a nominated business does not have a visible/viable website, Facebook page, event listing, or other online presence, the nomination will be rejected. During the voting period, participants must select each business they desire to be the ultimate winner of the listed categories. Upon voting, if the user has not previously filled out a form during the nomination period, they will be presented with the same form as described above. 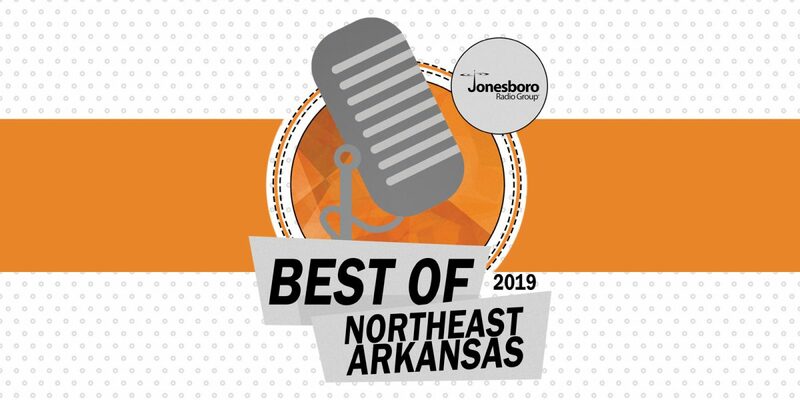 Participants who share their information through the nomination and voting forms will only be contacted through email if they have left boxes checked marked granting Jonesboro Radio Group to do so. Personal information will not be shared with any third-party providers. Nomination is limited to one business nomination per category per verified email address. Voting is limited to one vote per day per verified email address. If an entrant receives irregular votes from the same user or users, including but not limited to, votes generated by a robotic, programmed, script, macro, other automated means or other source, Jonesboro Radio Group reserves the right to disqualify the entrant in its sole discretion. No prizes will be awarded to listeners participating in this contest. In the interest of transparency, winners will be selected based solely on public voting only. No preference will be given to current paying clients. Clients paying for advertising in this contest will be granted the benefits of website ads and enhanced listings, showing the business logo, contact information, 100-word description of the business, and an interactive map if applicable. Any business interested in purchasing advertisement for this contest may do so by contacting their assigned sales representative or by calling General Sales Manager Christie Matthews at (870) 933-8800 x124. Winners of each category will be presented with a framed poster to hang in their place of business and placement in the Best of Directory, which will be available to the public for the remainder of 2019. Clay, Craighead, Crittenden, Cross, Fulton, Greene, Independence, Izard, Jackson, Lawrence, Mississippi, Poinsett, Randolph, and Sharp. 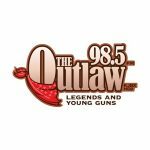 Entrants further grant to Jonesboro Radio Group the right to use and publish their proper name and state online and in print, or any other media, in connection with the Contest. 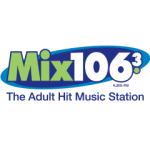 Jonesboro Radio Group reserves the right to use any and all information related to the Contest, including information on contestants obtained through the contest, for marketing purposes or any other purpose, unless prohibited by law. The Contest and all of the related pages, contents are copyright of Jonesboro Radio Group. Copying or unauthorized use of any copyrighted materials, trademarks or any other intellectual property without the express written consent of its owner is strictly prohibited. Jonesboro Radio Group is not responsible for Internet crashes or slowdowns caused by network congestion, viruses, sabotage, satellite failures, phone line failures, electrical outages, natural disasters or acts of man or God. 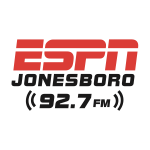 Jonesboro Radio Group reserves the right to change the rules at any time.